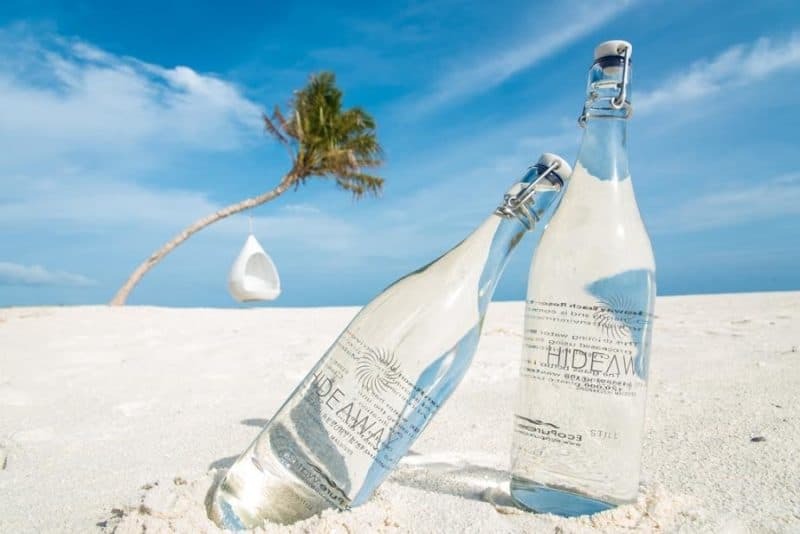 The five-star island resort expects to produce around 400 litres of drinking water every day – including both still and sparkling varieties – saving the importation of around 12 tonnes of drinking water each month. Tucked away in the middle of the staff village, the bottling plant is located behind the resort’s water desalination plant from where the water is piped in and undergoes two more rounds of filtration and sterilisation to ensure it meets international drinking standards. The water is served to guests in glass bottles which are then returned to the bottling plant for washing and re-filling.